You know how I love fish? 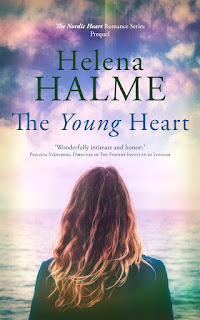 I have written before about my stepfather's fishing trips in Åland, crayfish feasts, as well as my own foray into Billingsgate market one (too!) early New Year's Eve morning. 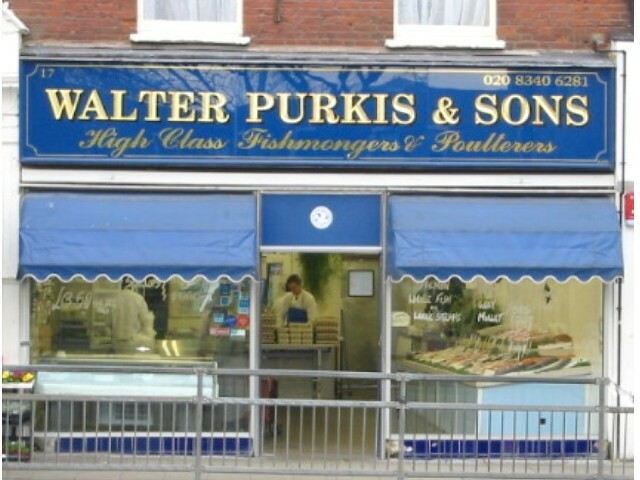 Yesterday when Daughter was due to come back for a rare weekend visit home, and had requested my special fish pie, I hopped and skipped to Walter Purkis. 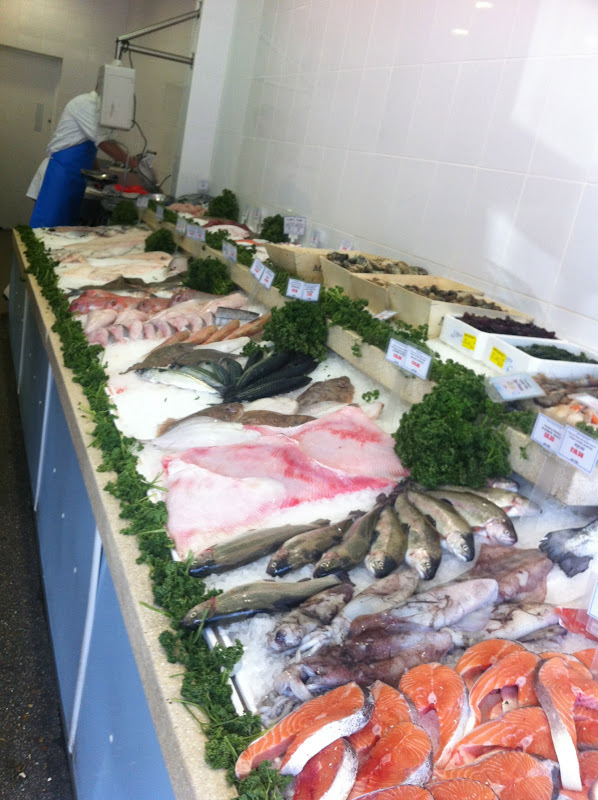 I chose a luminous, fresh-looking haddock fillet, and was childishly delighted when the young fishmonger wished me a good weekend and with a 'See you later' waved me goodbye. 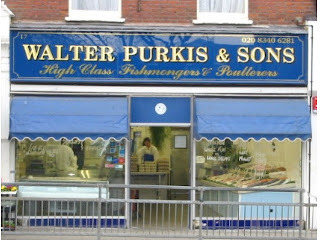 Because as a traditional fishmongers, the guys at Purkis & Sons are not talkative. No unnecessary dialogue apart from possibly the, 'Would you like the skin off? ', or similar has before passed between me and the lads in the shop. I almost feel like a local Crouch Ender now. They also have a very informative Twitter feed @purkisandsons where you will find info on the day's catch - very useful.